The sales funnel builder comes with a ton of excellent features, integrates seamlessly and brilliantly outperforms all its competitors. 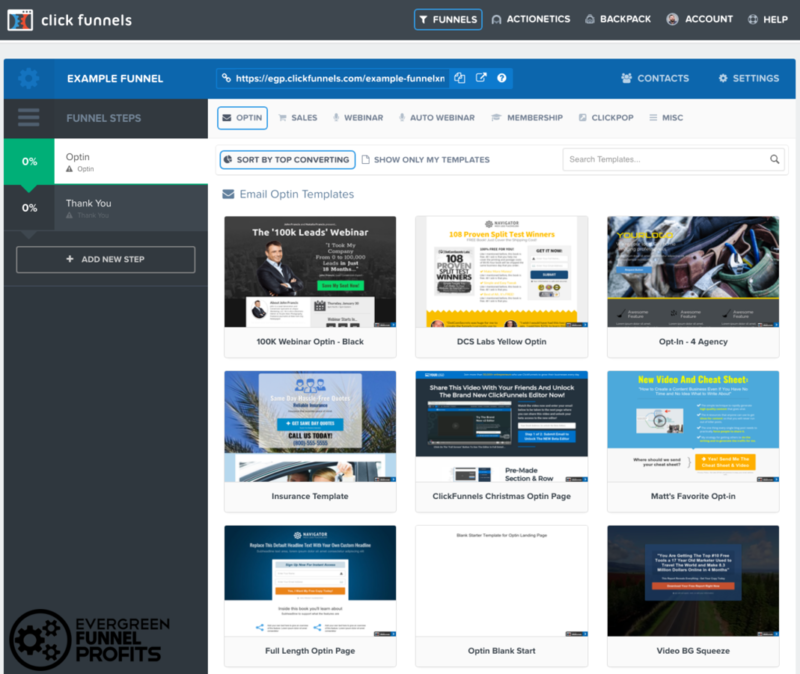 With it's drag-and-drop interface, funnel templates and introductory tutorials, ClickFunnels is incredibly easy to use even for the least techy person. Although there is a 14-day FREE trial, Not a lot of beginners can stomach the high cost of $97/month which makes ClickFunnels pretty expensive. With an ever-growing, active online community and other usual support options, you can't get stuck for long while using the sales funnel builder. What I Like About ClickFunnels? I thought it was just another fuggly landing page builder when i first stumbled upon ClickFunnels. I read a couple of reviews online about the tool about how it combines a whole lot of marketing tools all-in-one platform. it wasnt that bad, from what i read. I was like really…everything I Need? This review will let you in on everything you need to know about the best sales funnel builder called ClickFunnels. Many affiliate marketers out there provide noise and BS in their reviews just to sweet talk you into purchasing the product so they can get some bucks off you regardless whether the product is a great fit or not. This review is not one of those as I’ll be brutally honest with you and give you all the info you look for with zero sugar coating. Before we wear our life jackets and dive into the deep blue sea of ClickFunnels, it is important you learn about Sales Funnels because it’s the bedrock of the ClickFunnels software. A Sales Funnel is a process that takes first-time website visitors, turns them into leads and then into customers. It’s a guided path that web visitors move through in your sales process. Sales Funnels takes cold prospects from their first contact with your brand through a number of actionable steps resulting in one or more conversions. Conversions are desired actions you want your web visitor, lead or customer to take. It could be an email opt-in, cheat sheet download, product purchase or webinar registration. The aim of a sales funnel is usually to boost sales and increase conversions. Without a sales funnel in place, acquiring and retaining customers would be unacheivable for your business. A sales funnels would guide your website visitors through a long-term process from getting their email, warming them up with a low-priced offer and then once they become more familiar with your brand and trust is established, you’ll finally hit them with your high priced offers. For a business to thrive, you need to have a sales funnel. Once a web visitor enters your sales funnel, the first thing to do is to get the email address by offering value through a lead magnet. This lead magnet could be a freebie maybe an eBook, crash course or cheat sheet. To acquire leads, you need to create an email opt-in page with a sales funnel builder just like ClickFunnels. 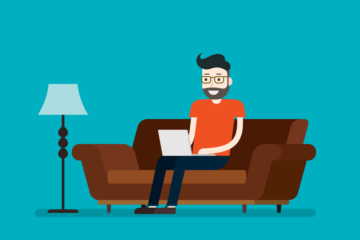 After you’ve acquired the email address of your web visitor, you’ll provide tons of value before starting the presell process. Build up trust with your lead by sending them valuable information about your product or service you want them to buy via an email sequence. The next step after building trust in a successful sales funnel is sending all your leads to a sales page. The sales page is specially designed to get your leads to buy your product. Mostly, they include an eye-catching headline, images, videos, purchase buttons and bullet points that describe all the benefits of your product making your potential customer all excited and help you close the sale quickly. To build a sales funnel, you would require a lot of tools like a landing page builder, a checkout system for accepting payments, an email marketing solution for follow up emails and a system to deliver your content. Now, the ClickFunnels Software which I’m gonna talk about provides you with an excellent all-in-one solution that performs all the functions of the aforementioned software, allowing you to build a sales funnel easily without combining various third-party solutions. ClickFunnels actually includes three different solutions – ClickFunnels (Sales Funnel Builder), Actionetics (Email Marketing Automation Platform) and BackPack (Affiliate Management System). ClickFunnels is an online Sales Funnel Builder that comes with a drag-and-drop interface and highly converting funnel templates making it easy for you to create a sales funnel in few minutes. With ClickFunnels, you can create a sales funnel that includes a sales page and various landing pages which let’s people navigate through in order to take a specific action (buy a product, join an email list, register for a webinar etc). The software was Co-founded by Russell Brunson (Author of Popular FREE Marketing Books like Expert Secrets and DotCom Secrets) in 2014 and has helped thousands of entrepreneurs build and establish their businesses online. ClickFunnels is arguably the best and most popular sales funnel builder in the internet marketing world and is currently used by 70,000+ entrepreneurs to build all sorts of highly converting sales funnels. It’s an awesome tool which I use and recommend a lot. The software has cool features all geared towards generating leads, sales, and increasing conversions. ClickFunnels makes it easy for you to create any kind of funnel you can ever think of – Sales funnels, Squeeze Page funnels, Optin/Lead capture funnels, Membership site, Product Launch funnels, Automated Webinar funnels and a whole lot more. The most interesting part about using the ClickFunnels software is that you don’t need to know how to code a website, computer programming or anything technical. All you need is already done for you on one platform. You just tweak and customize to get your desired result. Now, let’s jump in and take a deeper look at the features that makes ClickFunnels an excellent sales funnel builder. I’ll take you through each aspect from getting started to setting up a basic sales page with ClickFunnels. ClickFunnels comes with a 14-day FREE Trial which you can use to try your hand on the software and see why you should invest in it. Click this link to grab yours and I’ll send you my special ClickFunnels Bonus for signing up via my link. Once you’re signed up onto the ClickFunnels platform, there is a couple of introductory tutorial videos presented to you at the welcome page. You can make out little time to watch those videos and understand how the ClickFunnels software works in entirety. Good news!!! 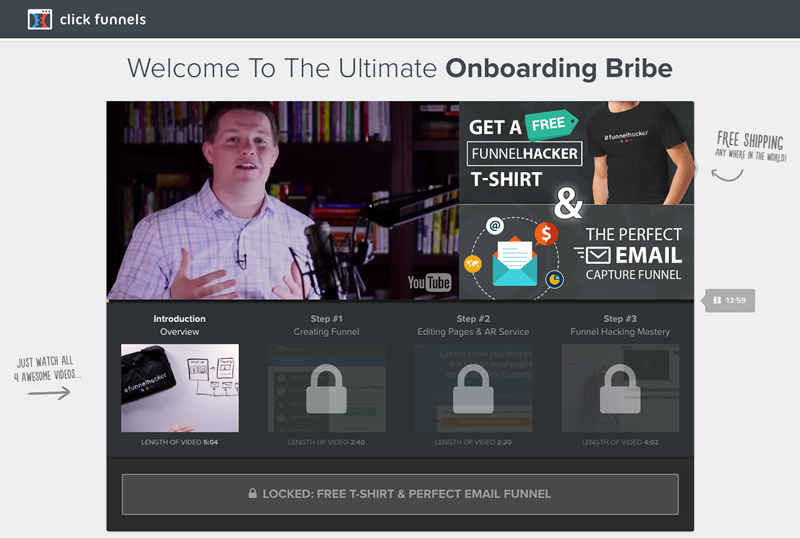 ClickFunnels would reward you with a FREE “#FunnelHacker” T-Shirt and a custom-made perfect email funnel for watching the introductory tutorial videos. The introductory videos is really simplified and contains four, not-too lengthy videos. After watching the videos, you’ll be taken to a page where you can create your first funnel. There is no limit to the kind of Funnel you can create with ClickFunnels plus the software comes with pre-made Funnel template for all kinds of funnels. These Funnels includes Sales Page Funnel, Email Opt-in Page Funnel, Webinar Funnel, Online Course Funnel and Membership Site Funnel. ClickFunnels offers various funnel templates (up to 100) to choose from. The funnels have been categorized based on various business niches and industries like Retail, E-commerce, B2B, Consulting, Networking Marketing, Professional Services, and more and you can simply search for a specific industry and select any particular funnel. You should choose the Funnel Template to use based on the type of campaign you want to run. You’ll be presented with three Funnel options; Collect Emails, Sell Your Product and Host Webinars. You can also choose a custom type funnel to start with. Once you find a funnel you like, select it and create a new funnel with the template and whatever name you desire. Moving on, I’ll be required to customize my sales funnel template. Clickfunnels offers a great deal of customizability. You can add your logo, slogan, images, and videos relating to your business and as well as other necessary information about your business or product. One thing I love about ClickFunnels is the ease of use in creating Sales Funnels. You don’t need to have a website to create good-looking sales pages (even though you can link your Funnel to your website). The funnels created with ClickFunnels are excellent, good-looking and mobile responsive. 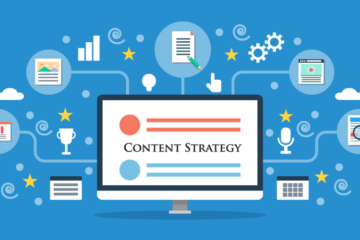 Once you’re done designing the sales page template with your content, then next is to create your thank-you page where your funnel visitors are directed to after they’ve entered in their email on the Email Optin Page. 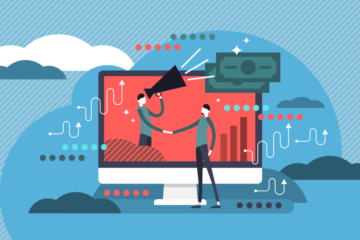 Asides providing you with a funnel building platform, ClickFunnels allows you to integrate with other email automation software and payment processors. Save your funnel to your .clickFunnels.com domain or you can integrate a custom domain which you own. At times while using the software, I experience some bugs which would cause my funnels to go down. It doesn’t really happen often but once it does, all you can do is wait and it would be back up after a little while. If not, contact customer support ASAP. No. You don’t need a Website or Domain Name to use ClickFunnels in creating sales funnels. It’s recommended to buy a custom domain for your funnels so your funnel URL wouldn’t look like this http://username.clickfunnels.com. You could also setup a website and link the funnel to a particular page of your website with the ClickFunnels WordPress plugin. Satisfied with the features ClickFunnels provides? You can start enjoying these AWESOME features NOW for FREE (14 Days) by signing up for the free trial of ClickFunnels today! One big advantage of using ClickFunnels is the fact that it integrates easily with a lot of email marketing automation software whether Aweber, MailChimp, ConvertKit, Constant Contact. The software has it’s own email marketing automation software called Actionetics but this comes with the $297/month plan. ClickFunnels also integrates with Payment Processors such as Stripe, Braintree, Paypal, and Clickbank. Webinars such as Everwebinar, Webinar Jam, GoTo Webinar. Other Important Integrations includes Drip, Zapier, SalesForce, Shipstation. Also, There’s a ClickFunnels plugin on WordPress that lets you add the sales page to your WordPress website. 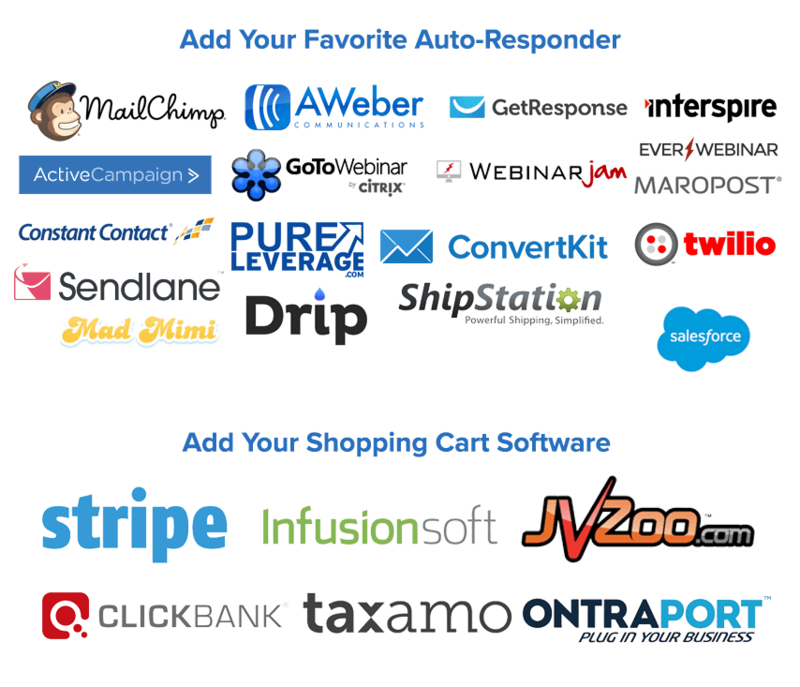 Check out the full list of ClickFunnels Integrations here. ClickFunnels Enables Users To Share Funnels with Others. Another cool and outstanding feature of the ClickFunnels software is the ability to share your funnels with others. Imagine you create an amazing funnel which converts crazy, you can easily share it with a friend without having to redesign the funnel on his/her ClickFunnels account. All you need to do is copy the share link of the particular funnel and send it to the person you want to share the funnel with. Once they click the funnel share link you shared, they can access and use the funnel by importing it into their ClickFunnels account. ClickFunnels allows A/B testing. If you love Split A/B testing like I do, ClickFunnels is the perfect tool for you. The software comes with a built in A/B Testing feature. To use this feature, all you need to do is to make two separate pages as version A and B and chose the amounts of traffic you want entering into each versions. The software would provide the conversion reports of both versions after let’s say 24hours and you can then choose the version that worked better. Does ClickFunnels offer customer support? Yes. ClickFunnels makes use of support tickets to respond to your questions and inquiries. Although they could be a bit slow in responding, the ClickFunnels support is still reliable and helpful. ClickFunnels has an active community on Facebook. The official ClickFunnels Facebook group has over 190k Funnel Hackers. There’s another group called the ClickFunnels Avengers (majorly for ClickFunnels affiliates) with over 35k members. The Facebook groups is a great platform and you can learn business and marketing strategies from other entrepreneurs on the group. However, there are several other active ClickFunnels Facebook groups owned by ClickFunnels Top affiliates where you can get massive value in Funnel Building and Marketing. ClickFunnels has an AMAZING affiliate program for ClickFunnels users and non-users interested in promoting the software to earn commissions. ClickFunnels pays 40% recurring (for the lifetime of the referred customer) commissions on subscription-based products like ClickFunnels Startup ($97) and Etison Suite ($297). They pay 40% commission on one-time product purchase such as Funnel Hacks ($997) and Funnel Scripts ($497). There are also lots of other awesome front-end offers which are FREE plus shipping available for promotion as an affiliate like Expert Secrets, Dot Com Secrets and Perfect Webinar Script. The ClickFunnels Affiliate Program would give you the required training, resources and unique bonuses in order to promote the product successfully and affiliates get paid on the 1st and 15th of every month by PayPal. Due to the 30-day refund guarantee on all their products, They hold earned commissions for a 30 day period before they are released for payments to eliminate refund risk and you must have earned at least $100 to be ready for payout. You can also promote ClickFunnels if you’re not a user of the product but I’ll advise you to promote ClickFunnels only when you’ve used and tested it personally. If you’re interested in making money online with affiliate marketing, then ClickFunnels is a product I recommend you to promote 100% all because of its excellent features and high paying recurring commission which I mentioned in my ClickFunnels Affiliate Program Review. Now that we’ve seen the value and excellence that ClickFunnels delivers, Let’s talk in-depth about it’s pricing. Like I said in one of my cons about ClickFunnels, its an expensive software. Not many beginners and entrepreneurs can afford close to a hundred bucks monthly for an Internet marketing tool but I can assure you that it is much more rewarding and better off than hiring an expert to design a funnel from scratch for you. The ClickFunnels software comes with two major pricing plans – StartUp Plan and Full Etison Suite Plan. With this plan, you get access to all the ClickFunnels funnel creation tools and you can build all sorts of sales funnels and even create a membership site. However, you can only create a maximum of 20 funnels, 100 pages and 20,000 unique monthly visitors. This plan comes with unlimited versions of the Startup plan along with Actionetics and BackPack. The ClickFunnels software creators are offering you a 14-day FREE trial for you to try the Software and see if you can make money with it before you get charged after two weeks. Meanwhile, Clickfunnels offers big discounts for signing up annually. There is no official coupon or bonus in purchasing ClickFunnels. They only offer a reduction in price when you purchase Funnel Hacks. Funnel Hacks which cost $997 would give you six months value of Etison Suite plan instead of the usual $1782. You’ll also get additional training which includes 6 Week Funnel Hacks Master Class ($2,997 value), Instant Traffic Hacks ($1,997 value), Inception Secrets ($1,997 value), SOAP and Seinfeld Email Sequences ($997 value). The ClickFunnels discount comes with a package called Funnel Hacks System. The Funnel Hacks bundle comes with 6 months access to the Etison Suite (worth $1782) and bonuses which include sales funnel training and email sequences just for $997. I wrote a comprehensive article on the various ClickFunnels Pricing Plan here for you to see each features of the plans and make an informed decision. The Thrive Content Builder is a great tool for building lovely landing pages but performs only a fraction of what ClickFunnels is capable of doing. Thrive Content Builder works only with WordPress which implies that you must have a WordPress website to use the tool. It doesn’t create sales funnels, just single pages. You also don’t also get some other advanced features of ClickFunnels like the in-built autoresponder service in the Etison Suite and the share funnel feature. LeadPages is used in designing awesome, mobile responsive landing pages. It’s not used for building funnels, just landing pages. You can’t link various single pages in LeadPages together to form a funnel as you can do with ClickFunnels hence making ClickFunnels extremely powerful than LeadPages. A lot of people have perceived ClickFunnels to be a scam due to the ugly and unholy methods affiliates use in promoting the software. ClickFunnels is an amazing funnel building software and I can boldly say it is not a SCAM!! A lot of internet marketing experts and business owners use ClickFunnels to build 7 figure businesses and generate passive income. I’m not trying to hype it but ClickFunnels is definitely the real deal! If you’re looking at getting more sales and customers for your business (whether or not you have a website), ClickFunnels is an excellent, perfect and the #1 solution for creating your sales funnels. There’s no other software solution in the world that can perform the functions that ClickFunnels does excellently. No doubt It’s fairly expensive ($97 basic plan and $297 Full plan). ClickFunnels comes with great, high-end features and performs a whole bunch of functions saving you the cost of getting other software products. It would undoubtedly help you boost sales if you maximize its usage. You would even make sales during your 14 day trial of the product and make money to buy the product afterward. With all honesty, I’m recommending you to purchase the ClickFunnels Software to build your sales funnels. I’ve been using the software and I’m 100% satisfied with their services. Do you want to create lead capture funnels, sales funnels, membership funnels, e-commerce funnels and many more? ClickFunnels is definitely your go-to-tool! Whatever you do, as long as you have a product or service to sell, you need ClickFunnels! You can click HERE to start your 14-DAY FREE TRIAL of ClickFunnels today! What do you think about ClickFunnels? Share this post and share your thoughts in the comment box below!